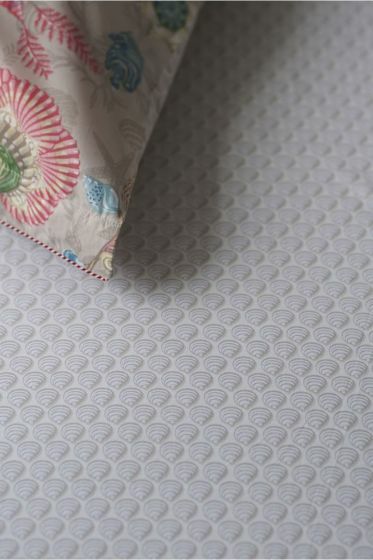 Create style in the bedroom with this off-white fitted sheet. The sophisticated ton-sûr-ton shell pattern makes it easy to combine the fitted sheet, and the percale cotton ensures both softness and suppleness, as well as easy maintenance. It is also very durable and suitable for any season.